Moving…Raise your hand if you hate it. I do. Aside from the welcome feeling of change and opportunity to create a new space, it is taxing. This time I was encouraged by friends and acquaintances to do it differently. 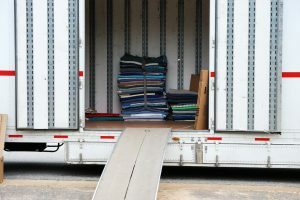 Use points to stay at a hotel near work until you figure it out…and maintain a storage facility as you go back and forth gathering necessities. It will give you more time to figure it out and reduce the overall stress. Well it was just like my overly researching self to figure it out too early and invalidate all of that leisure and ease. One of the first places I looked at was the one I settled on. When I know, I know. And the universe was cool enough to back up my initial gut feeling with tons of evidence showing I was right. Even though, some of my acquaintances with no money on the note, say otherwise. So then I had to wait, and wait, and basically all the cool relaxing back and forth turned into more of a chore than I hoped. The leisurely flight home zapped my energy and ensured all the anxiety I was trying to save was channeled into figuring out whether or not my bags were too heavy and how many I could take. So when I found out the first class on my plane wasn’t the one that allowed three bags (which I had meticulously planned for) the edges of my nerves began to unravel. And the promise of champagne and hot nuts would not appease me, although the ice cream came close. Ross in abstract and my favorite bottle of cognac). Why? The car needs to weigh what it weighed when you bought it. Though my car is arriving now, waiting for the home I chose is like waiting for the pizza party scheduled two months after you won the contest. And lugging around or going through the mental acrobatics of determining what should stay out and what should go in all the luggage (Yes, I used all the luggage I own), is no fun. So here’s to moving! Move when it benefits you. Move when your spirit sings in a new place. However, no matter what strategy you are given, it is still moving, so do it as quickly as possible. P.S. I’d like to tip my hat to the Flip the Zip group who provided awesome support and great advice for moving. If you move, check them out!